Lake and Pease have been partners since Oct. 10, 1998. 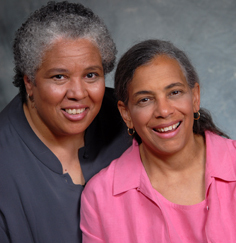 Lake is a minister and author, Pease is a domestic violence and trauma consultant. Throughout her professional career Dr. Terri Pease, has helped adults and children who have experienced trauma, sexual assault or domestic violence.